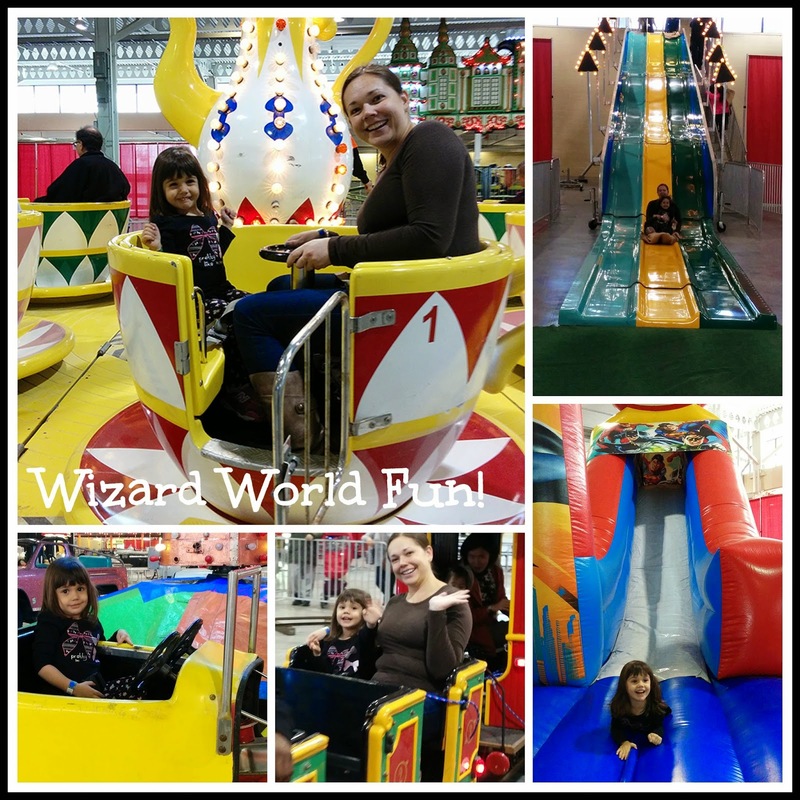 Happening now until March 22nd, 2015 at the Better Living Building on Exhibition Grounds, Wizard World has it all. Rides, games, shows, fair food and animals too. We were lucky enough to visit today - opening day - and Hannah had a great time. 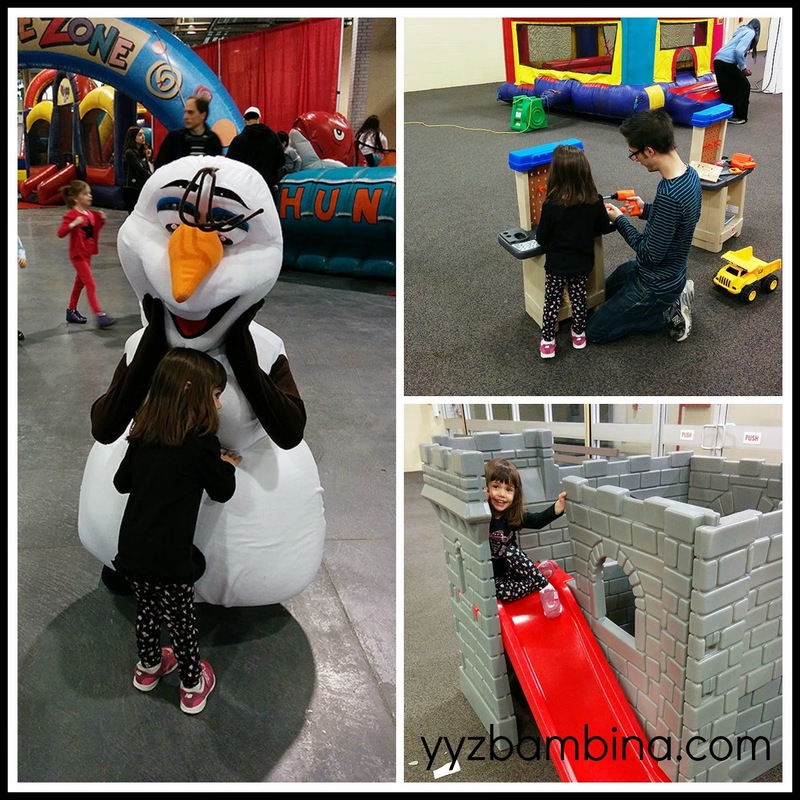 We started the day in the Tiny Tots Area which was filled with toys, jumping castles and even Bubble Guppies on TV. Hannah loved playing in the tents and in the castle. The only way we got her to leave was that we saw Olaf walking by - she had to give him a warm hug! Then it was on to some rides. Hannah was able to ride most things with an adult, although there are quite a few rides meant strictly for the older kids. We had SO much fun on the roller coaster that we rode it THREE times...in a row! We checked out some kangaroos and lemurs at the petting zoo and then had a Pizza Pizza lunch. 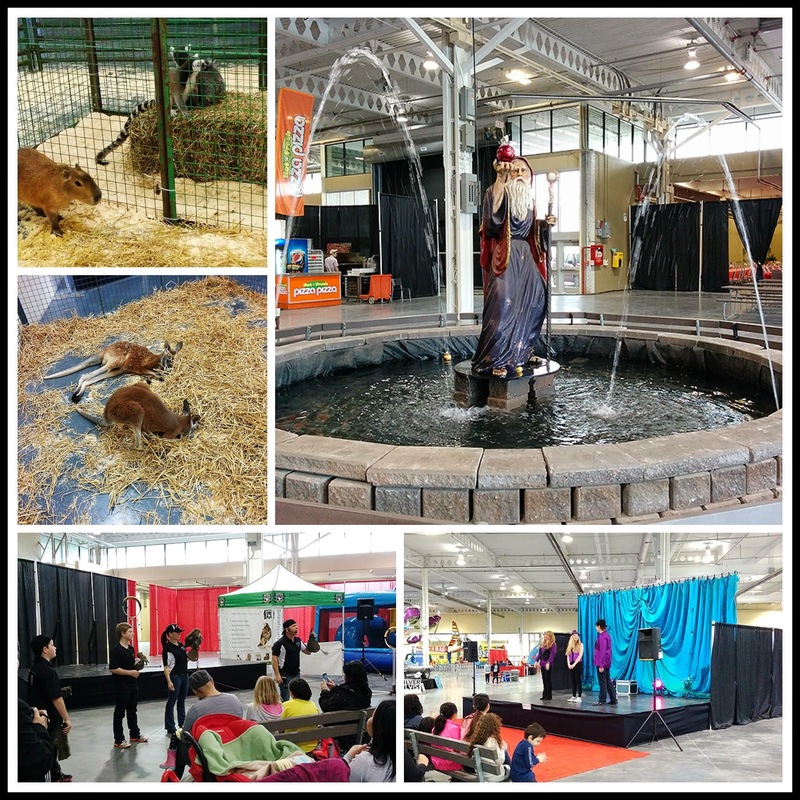 There are also daily shows and performances by The Magic Family, Doo Doo the Clown, Ontario Falconry Centre's Birds of Prey, and Tiger Paw Exotics. There's also face painting and a colouring station too. With the Home Show going on in the Direct Energy Centre it's a good idea to arrive early to find parking. You can buy tickets online or at the door - but make sure you bring cash. Especially for those awesome Tiny Tom's Donuts! Disclosure: We received passes to Wizard World for the purpose of this review. As always, opinions on this blog are my own. Thanks Maya - hope you had a great time! Ahh, so sad to see that this is only on for March Break. I was hoping that we could go this Summer.